We mentioned on Monday, this is Men's Health Week, so we're dedicating all the posts this week to the gents. Today, we will be recapping fashion tips shared here in the past. This first set includes general fashion tips to help you get through every day. Friday, we'll share our summer fashion tips--those are obviously quite pertinent, but these are the foundation of style. 1. Stay crisp and clean. This is a simple one. All we ask is for you to shave and trim regularly, while also making the iron or steamer your friend. These 2 things are fundamental, and can often save you from an overall bad look. Don't let these go by the wayside. As a throw-in, we'll add the accuracy of the Gillette Mach 3 razor. The shave is close, and with a moisturizing shaving cream, you'll keep your skin healthy. 2. Don't buy another white dress shirt. We already know you have some, but you should maintain this number. If you need to replace one, go for it, but adding to the collection? There's no need. 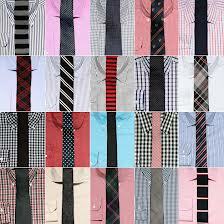 There are other colors out there to match an arsenal of ties--blue, red, black, a variety of pastels. Trust yourself (and me) to don a shirt other than white sometimes, We are not discouraging the white shirt all together. But, if you want to put in just a bit more effort, try a color, forcing you to consider what tie and pocket square to match. White is easy, colors get attention. *This is not a suggestion to dress like a kaleidoscope, just to provide variety in your look. Hats are great. Even if it's your winter skully, wearing a hat can change up your whole look. Hats make great accessories--without making you feel like you're accessorizing. 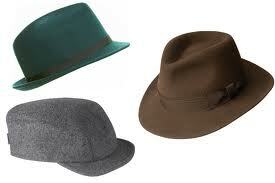 Fedoras are definitely a coveted look. Ok, this one may come as a surprise, but the hoodie can be worn in a fashionable way. It can show style, yet comfort. 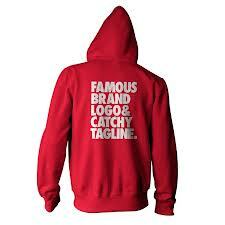 These days, hoodies come in a variety of styles. We don't too much condone the oversized look, but an appropriately sized hoodie, representing your favorite team or motto is a nice look for any given Saturday afternoon. Add nice jeans, and heads will turn--promise. We all come in different shapes and sizes. This is important to keep in mind when shopping and dressing. Skinny jeans may be in, but if you have a long torso or short legs, embrace the fact they aren't for you. But something is. If you have longer legs, slim-cut jeans are a better option, as are bigger fitting tops. For the guy with not so long legs, don't fret. Boot cut or slightly baggy jeans are for you. They give your legs length and with a nice button-up or cardigan, you can show onlookers just how right your size is. Be careful not to get so caught up in the trend that you forget what works best for your body type. Broad shouldered-gents, be cautions with horizontal stripes. It's not a no-no, just make sure the stripes give the look you want. If you're a thicker guy, watch the prints and patterns. Being flashy is fine, but too much of anything is never good. 6. Watch your "highlight pieces". Coordinating your look is great, but please don't go overboard. You never need to have everything you wear be the same color or shade. You don't have to overdo the jewelry, hats and matching shoelaces. You also don't have to draw attention to every part of your outfit. Pick 1 thing you want to highlight--1: Your hat, nice shoes, fancy-pocked jeans, smooth gent cardigan, nice printed shirt. One or the other, guys--never all at the same time. Every piece you wear can be nice and eye-catching without catching the raised eyebrow. Let's keep it simple and save the Christmas trees for December. If you feel good, you'll send the message to others, too. Having "swag" is all about what you project when you dress. If sunglasses seal your look for you, wear them. If you like glasses just for style and not vision aides, rock them. Do what makes you feel best. 8. Chose fit over cost. Wearing pricey brands can have its advantages, particularly if the quality meets the price. However, there are quality clothes at lower price points. Don't be afraid to give them a try. Be careful being too cheap, though. You do get what you pay for. You may want to consult a seasoned shopper's help on this one. 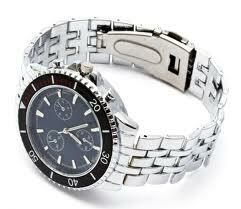 It's also important to have timeless pieces--a great watch, chain, jacket, etc. Having timeless pieces always keeps you fashionable, no matter what the current trend is. Some things never go out of style and investing in a timeless piece can save you dollars in between. 9. Don't wear a uniform. We're not talking law enforcement or military, here. We mean rocking the same look all the time. People should not expect to see you in the same thing, different color or prints, all the time. Know what looks good on you, but find a few things to choose from. 10. Take a page from the book of other guys. Some guys are more fashion conscious than others. Some are on top of every trend, and others just want to look nice without the worry. If you know a guy, famous or not, who seems to be right on target, follow his lead. You gents can help each other more than you know. We hope these are helpful. Stay tuned for more tomorrow! !